"Sleeping Beauty" is a great workof most scale also in Tchaikovsky's three major ballet. And it is the workwhich is said to be a masterpiece of grand ballet. To dance the leading role ofPrincess Aurora, the heroine will be required technique and stamina. Sincescene soloist plays an active part in many cases, requires a lot of attractivedancers. 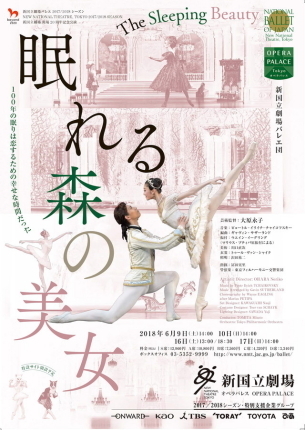 "Sleeping Beauty" is a difficult piece of performance, butit was a stage with a spectacular highlight in continuous. 華麗なるバレエ 04 チャイコフスキー：眠れる森の美 小学館 2009作曲家別名曲解説ライブラリー；チャイコフスキー．音楽之友社　1993.